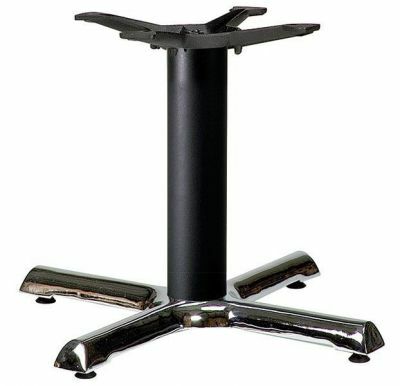 Cafe table bases with a Black column and four leg design in a Chrome finish. Stylish design available from stock for a free and fast delivery. Easy assembly. 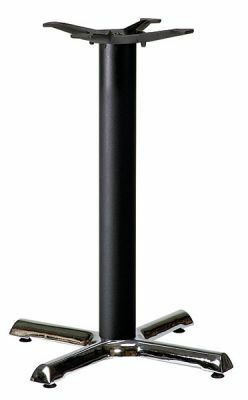 Inexpensive café table base in chrome held in stock for immediate delivery. These café tables can be used in conjunction with the café table tops in our comprehensive selection, up to a maximum size of 700mm circular or 700mm x 700mm square.